Who says you can't teach an old squirrel new tricks? I read a funny article in the SF Chronicle the other day. Apparently, this clown in Houston is obsessed with hippopotami and wanted to turn her Toyota Rav4 into something more hippopotam-ish. 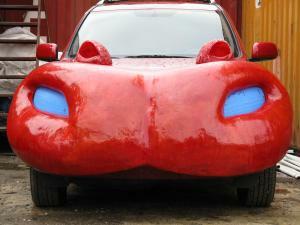 Eight years after she first got his name, Tom Kennedy finished her SECOND hippo-mobile! 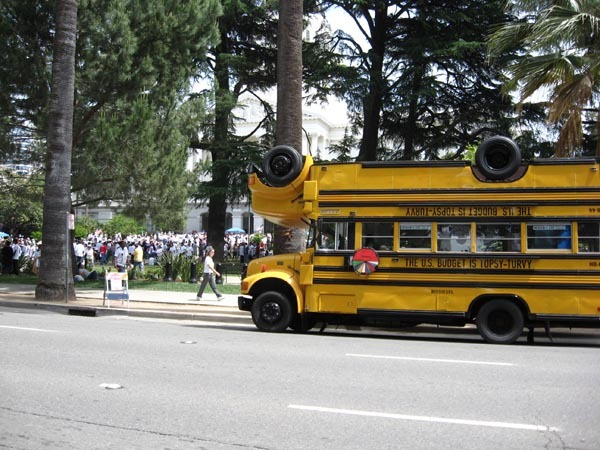 You can check out Tom Kennedy's website for more pictures, plus the story of the upside-down school bus built for Ben Cohen of Ben & Jerry's ice cream!